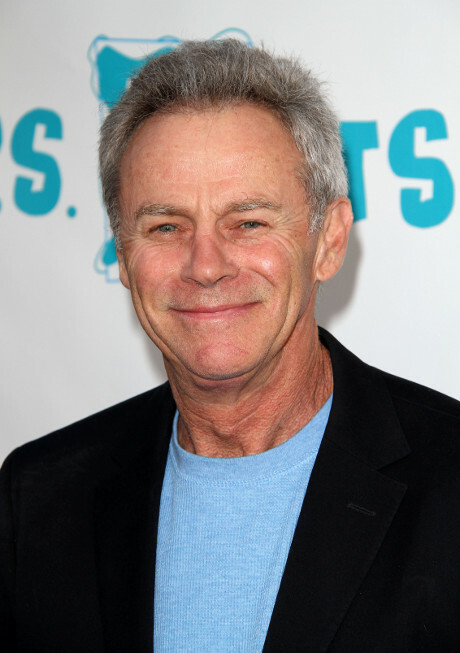 As General Hospital gears up for February sweeps, this week’s episodes are filled with shocking returns, a familiar guest star, and yet another good-bye to super sleuth, Robert Scorpio, as his portrayer, Tristan Rogers leaves the canvas to reprise his role as The Young and the Restless’ Colin. The week begins with Julian warning Morgan to watch his back, because Sonny is now aware that Morgan has been spying for Julian. Ava gives Morgan a gun for protection, as Olivia questions Sonny about what he plans to do about Morgan’s betrayal. Sonny issues Morgan an ultimatum, and Julian and Ava begin to turn on each other. Julian pays back Duke for his role in Sonny’s strike against him, by telling Anna about Duke’s involvement with Sonny. This revelation will lead to a confrontation between Anna and Duke, which will result in Anna turning to Scorpio for a shoulder to cry on, just before Scorpio bids Port Charles adieu, once more. Meanwhile, Nathan has 48 hours to find evidence against Silas Clay, or he has to drop the case. Lucky for Nathan, he finds what he needs and has Dr. Clay arrested. While in jail together, Silas and Franco, who’s finally been apprehended for murdering Carly, compare notes in each other’s situations. Sam is furious with Nathan for arresting Silas, so she complains to Dante about the detective. Dante then opens up to Sam about his problems with Lulu, which is a coincidence, because across town, Lulu is also opening up to Nathan about leaving Dante. Felicia is bothered about keeping Lucy’s secret from Mac. Meanwhile, Kevin shows up late to an appointment with a new patient named Tina, who is played by guest-star, Chandra Wilson (Grey’s Anatomy). Rafe is shaken by Silas’ arrest, so he takes it out on TJ, who teases him about his family’s murderous side-speaking of which, am I the only one who thinks that the man who purchased Silas’ dead wife’s mysterious prescription was Stephen Clay, Silas’ deranged twin? Heather tries to get the children’s help in doing her dirty work while Carly catches Heather with her guard down. Elizabeth tries to convince Sabrina to stop lying about the paternity of her baby, but for Sabrina, it’s easier said, than done. The week ends with the shocking return of Victor Cassadine played by Thaao Penghlis (ex-Tony, DOOL). The returning Cassadine has some shocking news which will lead into a big story with Robin when GH returns for February sweeps on Monday, February 3rd. Tracy also demands Anna to open a missing persons case on Luke, who hasn’t been seen since he went searching for the mysterious rodent terrorizing the Quartermaine’s pool house. Also returning during the first week of February is Ava’s mother, Delia. As most of you know, Ilene Kirsten will be once again reprising the role of Delia, whom Kirsten had previously portrayed on Ryan’s Hope. Delia will arrive in town just as her granddaughter, Kiki, goes to jail and loses the trust of her boyfriend, Michael. Examiner reports that a mysterious woman is set to arrive in Port Charles next week, as well-and she’s there to cause trouble. There is speculation that this woman could be the character that Donna Mills has been tapped to portray. Its seems Frank Valentini and Ron Carlivati are once again pulling out all stops to ensure high ratings during the sweeps period, and from the looks of it, they will have no trouble hitting those high numbers. If you love soaps as much as we do, head over to Facebook and join the conversation – dishing daily all the soap opera news.